Keep your countertop clean and convenient with a serving bar. 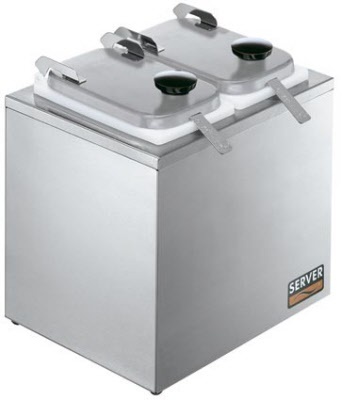 The SB-2 includes two shallow plastic jars (82558) with hinged lids (82545) and 1-oz (30 mL) ladles (82562). The stainless steel bar has a brushed finish to reduce the visibility of fingerprints. 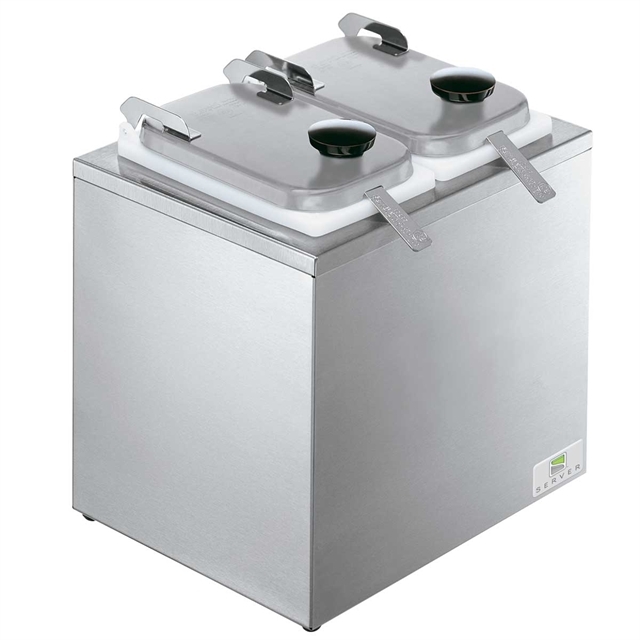 This insulated Serving Bar may be cooled with one Eutectic Ice Pack per jar, or ice.